BRbock Boutique and Residences is one among the few affordable boutique hotels in Makati City. Situated in the Philippine’s central business district, BRBlock hotel is strategically located as it is just few minute taxi ride away from various shopping malls, bars, restaurants and offices. What sets BRblock apart from other Makati boutique hotels is that it is located in the heart of Santiago village, a peaceful and quiet Makati neighborhood. Opened in June 2015, BRbock Boutique and Residences building is fairly new. Not like any other boutique hotels in Makati, its facade is gray and humble but its architecture is carefully designed and truly remarkable. It is in fact one of the best boutique hotel facade I’ve seen in Makati. This 4-storey Makati boutique hotel has an elevator. Each floor has a foyer where guests can hang-out and simply relax. The open-air industrial minimalist themed hallways are very clean and spacious for such a small hotel. From BRblock’s entrance up to the room, everything is unique and pleasing to the eye. The rooms are simple and very spacious. I love the minimalist but practical design of almost everything. Right after the room entrance, on the left is a mini bar with a couple of items and snacks for sale at a minimum price. Yes you heard it right! Minimum price! Unlike other boutique hotels, it was such a surprise that their snacks are quite cheap for an upscale boutique hotel. The minibar also comes with an electric kettle, 2 coffee cups, sachets of coffee, creamer and sugar. If you are a coffee lover, BRblock Boutique & Residences offers unlimited coffee! Just call the reception and coffee sachets will be delivered right in front of your hotel room. Below the minibar is a personal refrigerator with 2 complimentary water bottles and sodas in can for sale. There is also an open closet with a vault to secure your money or valuable items. If you are bringing work to your BRblock hotel room, there is a long shelf with a mirror and a stylish lampshade that serves as the room’s work space. Clean and stylish white linens and pillow cases cover the very comfortable bed and 4 pillows in BRblock hotel rooms. I should say that the quality of the bed and pillows can match that of expensive 5 star hotels in Makati. There is a huge cable LCD screen TV facing the bed. All rooms also come with a free Wifi. Unlike a typical hotel, the curtain in BRblock are white roller blinds. This is perfect for the floor to ceiling sliding glass door which separates the room from the balcony. If you are a cigarette smoker, the balcony serves as the smoking area. The simple and practical toilet and bath is very clean. The overall design complements to the minimalist theme of the hotel. Fixtures are stylish and look new. The hot and cold shower works perfectly and there are no issues with the water pressure. The toilet and bath come with toiletries such as soap, 2 toothbrush with toothpaste, cotton buds, bath shower and gel. I personally love the small soap wrapped with a BRblock branding. Compared to other Makati boutique hotels, room rates at BRblock are more affordable. Tip: Room rates are cheaper if you book HERE (Agoda). As for the security, there is a security guard on duty 24/7. The entire BRBlock building is also equipped with cameras. 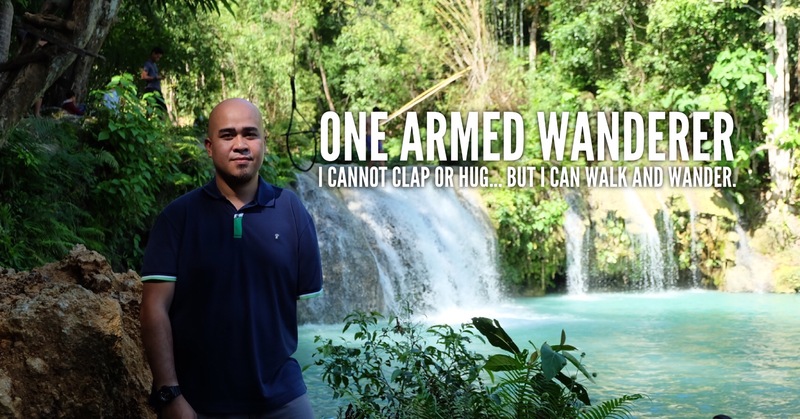 Being in a peaceful and quiet environment, we felt very safe during our stay at BRblock. 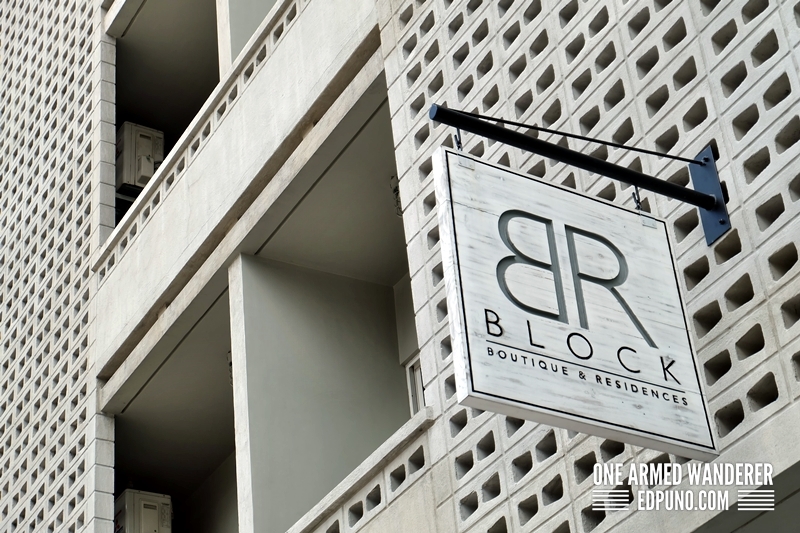 Due to its limited real estate, BRblock boutique and residences can accommodate maximum of 6 cars and its parking space at the ground floor. Customer service is exemplary! The security guards, concierge and the rest of the staff are very welcoming, friendly and courteous. Steph, the front desk personnel welcomed us with a huge smile and even assisted us to our room upon check-in. If you are visiting Makati for a vacation or business, I would highly recommend BRblock Boutique and Residences. With its exemplary customer service, simple yet upscale atmosphere, minimalist and clean rooms, security and safety and most especially its affordability, BRblock is the best boutique hotel there is Makati. Since BRblock is relatively new, most of the taxi drivers are not aware of the place yet. So make sure to have your Google map or Waze ready or just simply tell the below directions to the taxi driver. From Kalayaan Avenue in Makati, turn left to Pililla Street. After a block, turn left to Baler Street and turn right on Penafrancia St.
Online Booking and Reservation: Unfortunatey, BRblock Makati does not have an official website. Alternatively, you may book your room HERE.